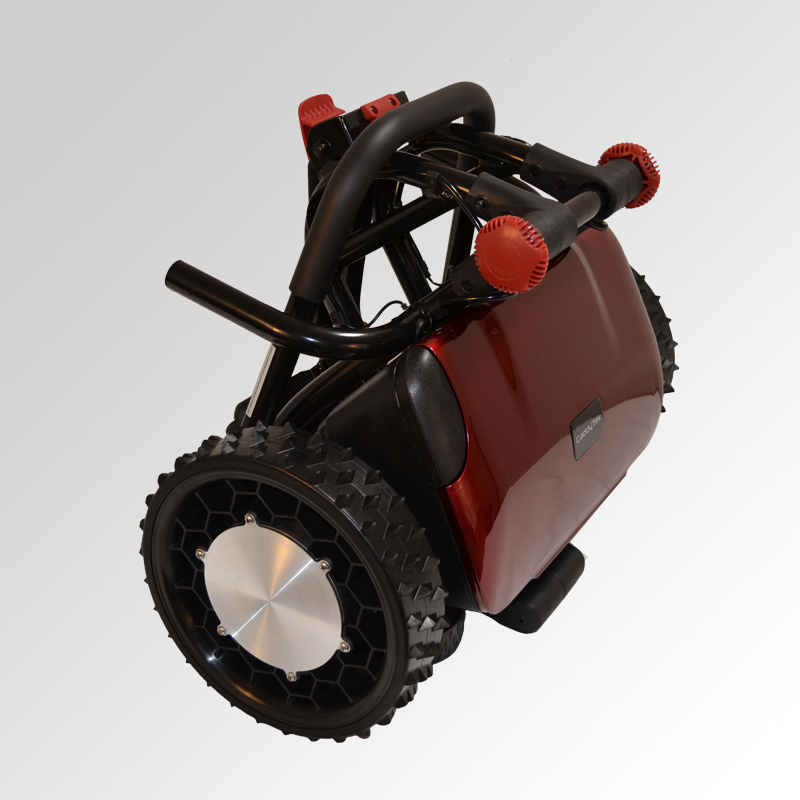 The CaddyTrek is an electric golf push cart that carries your bag so you don’t have to. The CaddyTrek allows golfers to walk hands free, allowing players to enjoy the game of golf without the burden of carrying a bag. Less fatigue means better levels of concentration and control when driving to the tee or playing the short game. Studies show that walking improves stamina and core strength, and is beneficial to overall fitness in burning calories and building muscle tone. 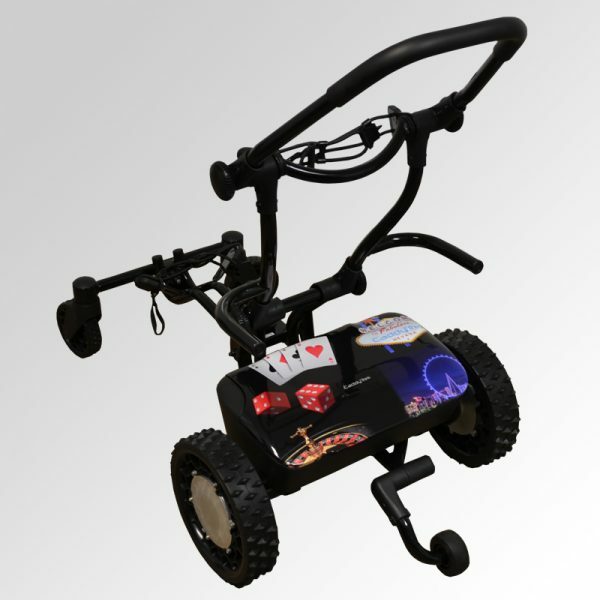 For players who hesitate in walking their round, the CaddyTrek provides a solution to the challenge of managing your gear. Now you can just focus on the game! The Original comes in black or candy apple red with red plastics. 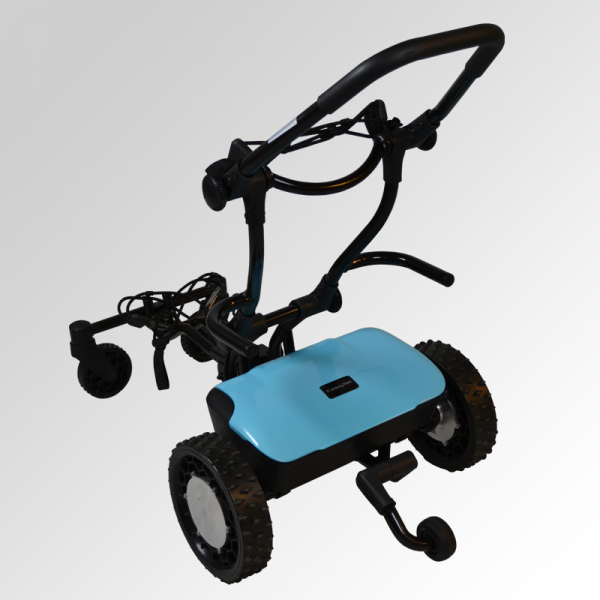 Go hands free with the CaddyTrek, the electric golf push cart that tracks in front or behind the player. Using a combination of Ultrasound and RF signal technology, the CaddyTrek calculates speed, distance and angle to the player. Golfers simply walk their game as the unit tracks the player’s movement. The CaddyTrek provides two different tracking modes—Follow and Marching. The tracking technology is virtually the same, the only difference being the orientation of the player to the CaddyTrek. Stand in front of the unit and clip the handset to your back waistband and engage Follow Mode OR clip the handset to the front of your waistband and stand behind the unit to use Marching. 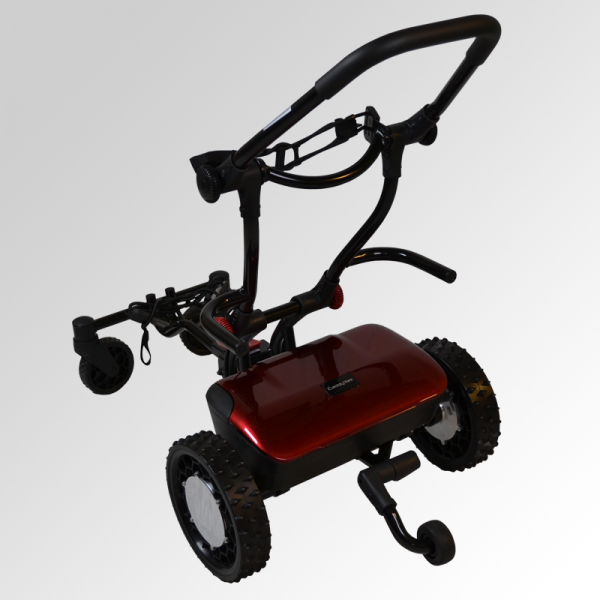 For additional speed and hill climbing ability, switch the CaddyTrek into Remote Mode and send it 100 feet to the next tee box. 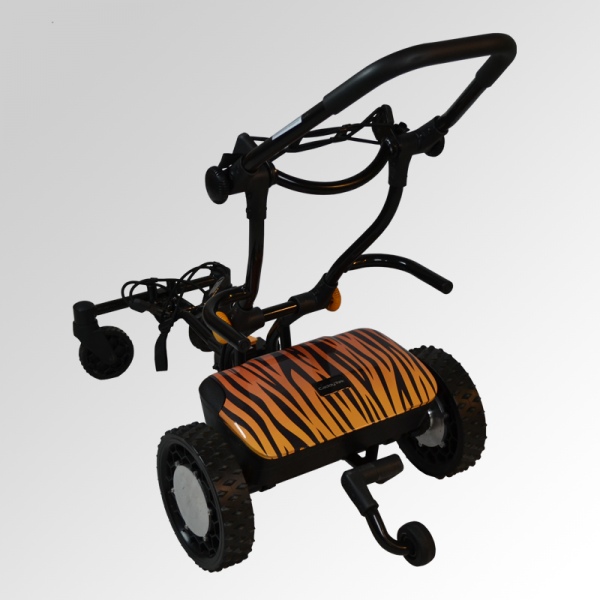 Found in other higher-end carts, the CaddyTrek electric golf push cart uses an onboard gyroscope to insure straight-line tracking over uneven terrain. 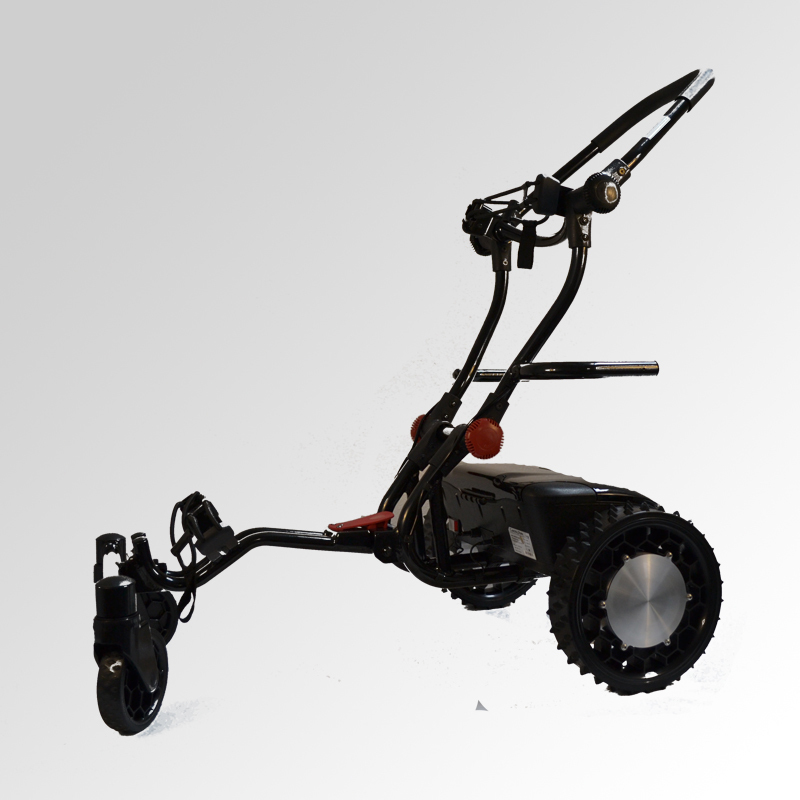 The CaddyTrek will make adjustments to return to its original line after encountering bumps, divots and uneven turf across the fairway. 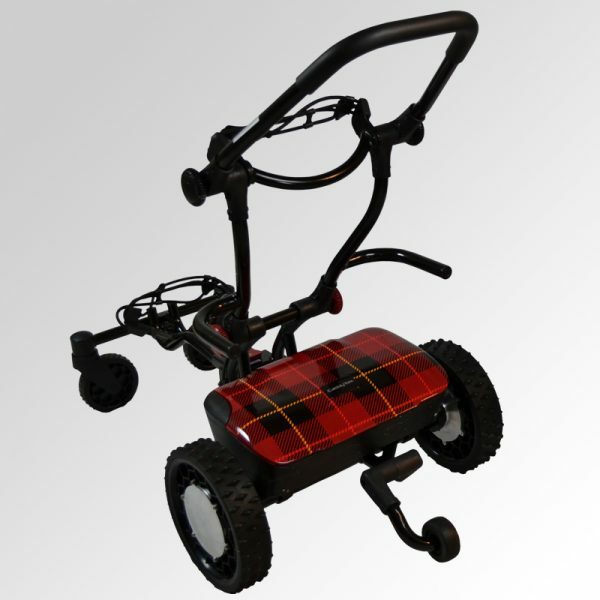 Use the handset to send the cart around the green, navigate around bunkers or climb hills. In Remote Mode, the CaddyTrek’s speed, control, and stopping power are now in your hands. Total weight for the unit comes in at 39 pounds. Quickly remove the battery for even more weight savings. 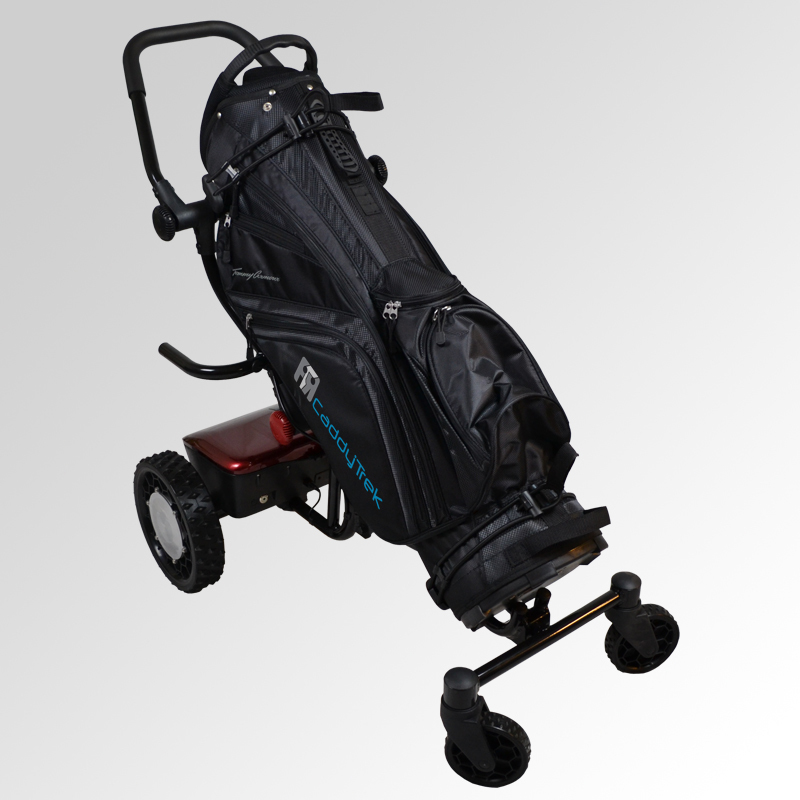 Fold the CaddyTrek down in a matter of seconds for easy transport in the trunk of your car to the club house or for storage at home. 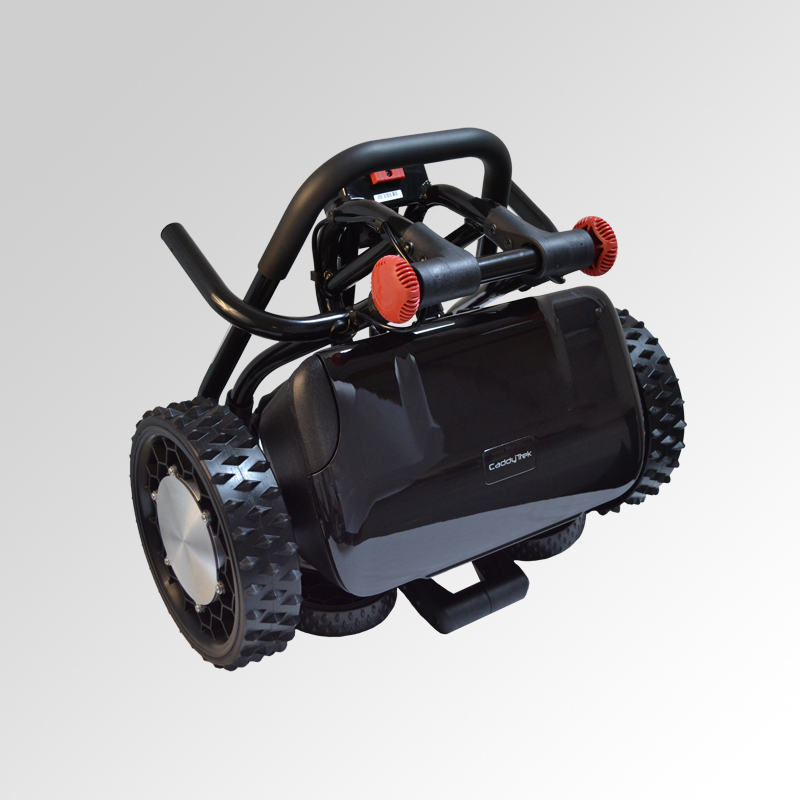 A rechargeable 24V Lithium ion battery allows golfers playtime of up to 27 holes on a single charge. The battery charger plugs into a normal 110V household outlet for quick recharging, taking about 5 hours to completely recharge. Remove the battery for charging in your home or keep it in the unit to charge at the cart barn of your local course. The battery lifecycle is rated at 500 cycles meaning players can enjoy years of use of their CaddyTrek before needing a replacement battery.